Regular gutter cleaning is a simple but effective way to avoid costly roof repairs. 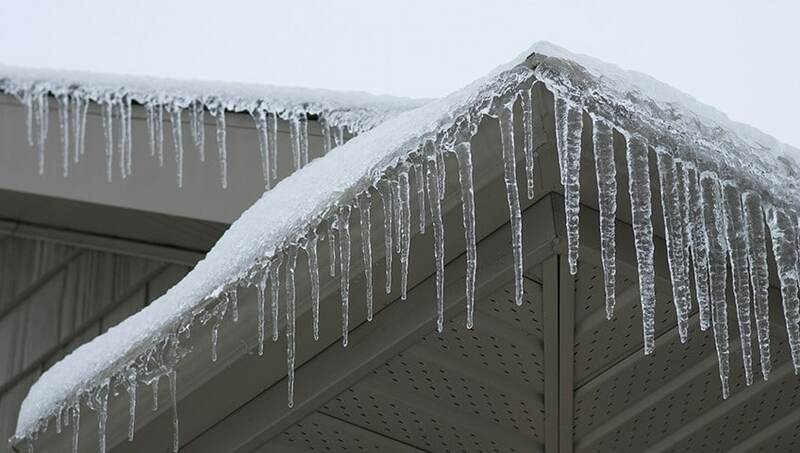 With freeze-thaw-freeze winter cycles in the GTA, ice dams, frozen gutters (also called eavestroughs), and roof leaks are not uncommon. The worst thing that can happen is that the melted snow finds its way into your home rather than out through the gutters. Here are some simple measures you can take to ensure your roof and drainage system are up to the challenge. Preventative care will help you avoid the stress and expense that major roof damage brings. Inspect attic insulation and remove wet or damp materials. Ensure adequate insulation to prevent heat transfer and the formation of ice dams. Install a proper drainage system with gutter filters and guards to reduce the risk of clogging and roof leaks. Make sure roof gutters and downspouts are clean and in proper working condition. Clear snow with a roof rake. Get a professional snow removal service after a big storm to prevent roof collapse. 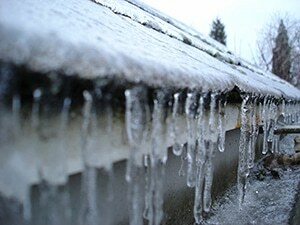 A clogged, frozen gutter can become heavy and tear off your roof causing serious property damage, even personal injuries. It is not worth the risk to neglect or delay taking care of the problem. Gutters perform important drainage functions; they help keep water and snow off the roof. Clogged gutters are typically where most of your roofing problems begin. Although regular cleaning and inspection can prevent this, many of us often neglect this critical task. Integrity Roofers will install an effective gutter filter system that runs optimally with zero maintenance. In short, it saves you the time and money involved with regular gutter cleaning. It’s a small investment that can save you hundreds of dollars in roof repairs. If required, we can also provide you with professional gutter cleaning services to avoid leaks and roof damage caused by iced or clogged systems. Prevent snow and ice from damaging your roof and home with gutter filter installation or professional cleaning. Call Integrity Roofers today at 416-736-7373.